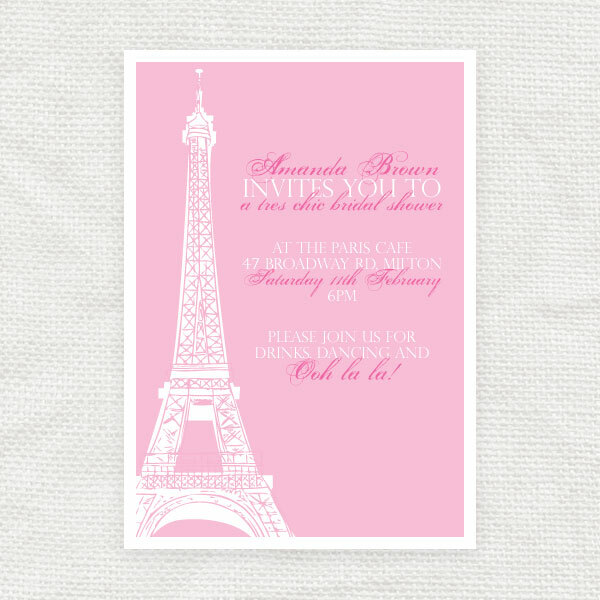 This beautiful ﻿bridal shower invitation is the easy way to add the professional touch to your party. ﻿With a cute eiffel tower illustration, it's time for a tres chic shower! Shown here in candy and shocking pink, or pick your own colour combination﻿ from the selection on offer. 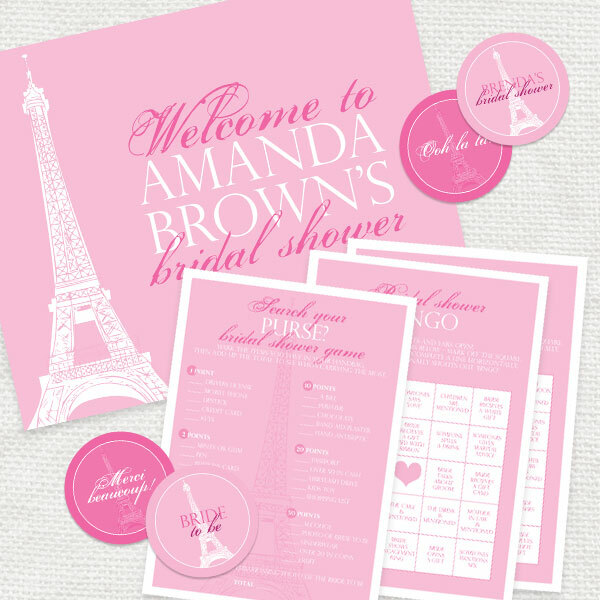 Also available is the matching bridal shower party kit with party circles, bridal shower games and a welcome sign.